UK huns, can we all come together and just agree that you’re having a moment? 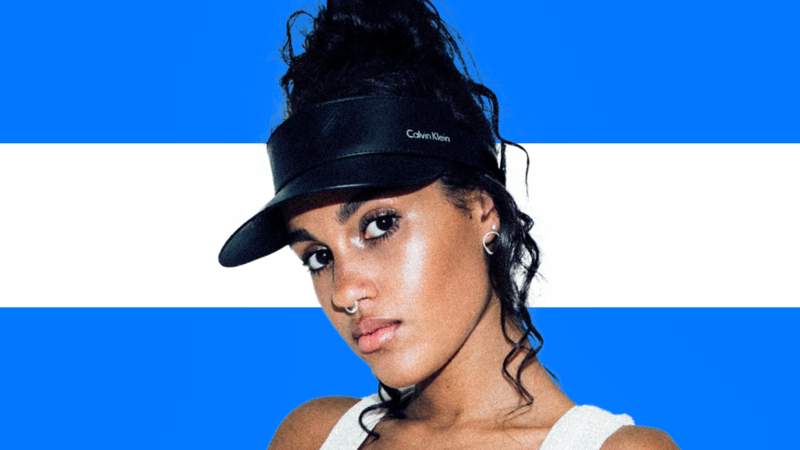 The talent coming from the United Kingdom has been rising at an exponential rate: Jorja Smith, Mabel, Ella Mai, Mahalia, RAYE, Grace Carter… it’s like – okay, Britain. You have made your point! But this faucet of wig stealing is not one that is going to leave us dry anytime soon: introducing the rising UK newcomer who goes by the name ABISHA. ABISHA’s music comes in the form of incredible alternative R&B slow-burner anthems. The emerging talent honed her songwriting craft with legendary producer Mike Chapman, who has also worked alongside FKA twigs and Blondie, in which they created ABISHA’s debut ‘All That’ and followed this with the sultry ‘Project X’ – which is in fact NOT inspired by the film but rather the song ‘Up’ by dust hip-hop singer, Telana. 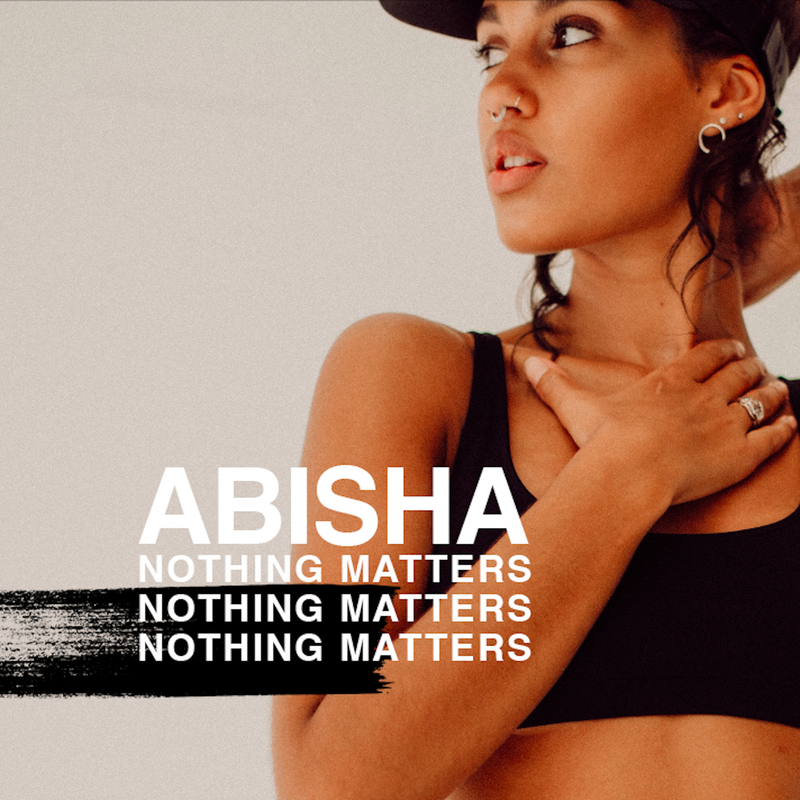 ABISHA’s third single, ‘Nothing Matters’, finds the R&B singer coming into her own on her most upbeat bop yet; an innovative, ambient take on an indecision in love, peppered with shapeshifting synths and staccato percussion. At this rate, ABISHA will become known for pushing the boundaries of what the genre is capable of through her unique sound and cool af music videos. With ABISHA’s distinctive, intimate vocals she is kicking a chunky trainer through the fabric of the music world – one single at a time. Tell us about the moment you decided to pursue music full-time. It was never really a conscious decision to pursue music full-time. I was lucky enough to meet my producers coincidentally and I started working with them straight away. At the time I was at university, but within a year or so I was balancing uni with being in the studio a few times a week. I knew from the beginning that music was what I wanted to pursue so inevitably I want to spend all my time doing it. What were your favourite albums to listen to while growing up? The first album I ever bought was one by the Black Eyed Peas and the Spice Girls. As I got a bit older I was obsessed with any album that Rihanna released. What was your earliest memory involving music? I had a box full of musical instruments when I was about 3 or 4; I just used to pick them up and play them all over the house, and when my friends came over we’d form a band. My dad used to send me DVDs with music videos from the charts at the time – this was in the 90s so the music was amazing! With a Jamaican father and an English mother, did having a diverse household influence your sound at all? Did it help you discover yourself or just complicate the process? I grew up with just my mum, my dad lived in London, so I wasn’t that aware of his taste in music at the time. My mum didn’t listen to much music around the house either, but I was always singing. My sound isn’t really influenced by either of my parents, although I’d love to bring a Jamaican element to my music at some point. What does the creative process usually involve when creating new music? I get lyric ideas all the time in the most random places and write them all down; when I go into the studio, my producer and I work on a beat and the lyrics that I have always just fit perfectly and the songs just flow from there. We usually sit down at the beginning of each session and I play him some songs that I’m loving at the moment too, so we just listen to it and vibe for a while, and usually that inspires us to write something amazing. The toughest part for me is that I’m so self-critical. So I can write half a song and then decide that it’s not quite perfect, or that I can do better, and then I have to start all over again. It’s hard not to compare yourself to other artists and put a lot of pressure on yourself as a new artist. What message do you want your music to send to listeners? What emotions do you hope your music conveys? I want whoever listens to my songs to feel however my music makes them feel. It might make someone feel completely different to how it makes me feel and that’s okay. People will relate to my music in different ways and for different reasons but as long as they connect with it then I’ve done my job. A lot of the music that will be on my coming EP is more chilled and emotional so I think that listeners will be able to connect to these songs a lot more. Speaking of which, you have said that your single ‘Project X’ “describes having a connection that is so magnetic that it makes you feel high”- was it inspired by the movie by any chance? Is it important to include personal experiences in your music? It wasn’t inspired by the movie – we called the song ‘Project X’ because it started off as a total experiment; I wanted to write a song that was completely unstructured and unpredictable, because usually I write very structurally. It was actually inspired by a song called ‘Up’ by Telana. You described your debut single ‘All That’ as a song about making mistakes and going through difficult experiences. What advice would you give to other female artists that are sharing similar experiences? Inevitably most young girls (or young people in general) will be in tough situations at some point, especially in their love lives. The advice I’d give to other female artists is to channel that experience into their music; it always helps to get your feelings into words and out of your head. How do you feel about the representation of female musicians, especially in the UK? Is there anything that you’d like to change? Currently, I think that UK female musicians are having a breakthrough in diminishing barriers that female artists may have faced in the past. Female artists are increasingly fronting the music scene at the moment and holding their own in the charts, and there are also a lot of female artists smashing it without even being signed and getting their music out there themselves and I admire that so much; I think that the growth of these kinds of artists is helping to alter the representation of female artists in a positive way. I’d just like to see more and more female artists killing it and being themselves and being recognised for their art – me included of course haha! What does your Spotify library look like at the moment – are there any female artists you’re particularly into? What issues do you think female artists are facing today? I think that female artists sometimes have to work harder to prove themselves than male artists do. There are still a lot of double standards for males and females in the music industry, as there is in every industry, but I do feel that this is getting better, and I’m very lucky to have an amazing team and to have not experienced this personally (yet), but I feel that when I do, it won’t phase me because I know that somebody’s opinion isn’t going to be superior than mine just because they’re a guy. Do you think that the industry places a high value on physical appearance? Have you ever felt pressured to fit a certain ‘mould’ as an artist? I think that the music industry definitely places high value on physical appearance, especially for females. I think that a female’s ‘look’ is almost as important as the music sometimes. But I do feel like this is changing too and that female artists are becoming more able to express themselves freely which is leading to a massive increase in diversity in the female music scene. I’ve not felt pressured to fit a certain mould because I have an amazing team who wouldn’t try and change me and how I choose to present myself as an artist, I feel that this can often happen with major labels though or even just if you don’t have the right team. I also feel that I know exactly how I want to look and have a strong sense of identity when it comes to my physical appearance as an artist, which definitely helps. If you could claim any song/album as your own, which would you choose? What purpose do you feel like music gives us in life? Music has the ability to make us feel emotions that we didn’t even know we could feel. I think it’s one of the most powerful things in the world. It can change our mood, bring people together, you can completely lose yourself in music… I think the purpose of music is to help heal. Which music venue do you dream of performing in? At the moment I get excited about just playing in small venues and on small stages at festivals. Obviously the massive arenas like the O2 and Wembley would be insane, and main stages at major festivals – the dream! By this time next year I want to have released an album, performed at some UK festivals, travelled to the US, expanded my fan base and be nominated for some kind of award!